Announcement Welcome to Needle & Foot where I offer a wide selection of high quality fabric. Be sure to check out the sale section for some great bargains! Shipping within the United States is just $6.99 for any fabric order. However if you only need a fat quarter or 1/2 yard cut, please use the listings you see at the top of the page so you can have a lower shipping cost. Please message me for international shipping quotes. Orders are shipped each Monday, Wednesday and Friday. 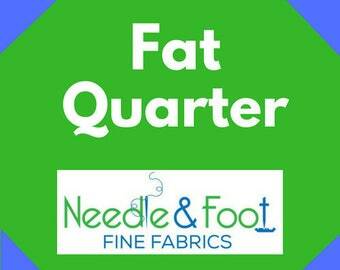 In my shop, you will find a large selection of curated fat quarter bundles. This is an affordable way to have a collection of pieces from one line without having to buy an entire fat quarter bundle from a specific line. I have another Etsy shop, Needle and Foot Sews, where I sell current and vintage sewing patterns. Come check it out as I have a wonderful supply of all sorts of patterns! Welcome to Needle & Foot where I offer a wide selection of high quality fabric. Be sure to check out the sale section for some great bargains! Outstanding personal help. I had entered a number incorrectly in my order. She quickly sent me an email informing me of the problem and offered options for resolution. Once I responded and corrected my mistake, my order was sent immediately. Shipped quickly and already made the pouch that it was ordered for! I am cutting more fat quarters from my collection of vintage sheets! Bundles of seven fat quarters are listed in the shop. Be sure to check them out! I am cleaning up and reorganizing fabric after working at a quilt show this weekend. I just listed two bundles of sweet polka dot fat quarters. Come take a look- great way to build your stash and play with some bright colors. I have been busy cutting bundles of these cute low volume prints. You can buy either a fat quarter bundle or ask for a 1/2 yard bundle. Come take a look! My favorite place to be, downstairs in my shop! I have been sewing and creating with fabric since I was 12. Not going to do the math for you, let's just say this was quite a while back. Since retiring, I am able to spend much more time on my passions; sewing and quilting. I blog about my sewing and quilting at https://needleandfoot.com. The name of my site came about through some funny family discussions about my tendency to leave pins and needles scattered about the house and my husband's misfortune to have stepped on several of them (barefoot)! You can read more about that on my blog. When I was growing up, my father owned a fabric shop in Northern California. I loved working there on Saturdays and on the weekends. Having my own fabric shop on Etsy is so satisfying. The world has certainly changed since I worked for my father in the 1970's and having an on-line shop is quite different from a brick & mortar store. But serving my customers is still my priority just as it was for my dad back in his shop. I strive to stock high quality fabrics, in a range of styles so shoppers are able to find just the right piece. Unique to my shop are the fat quarter bundles I sell. I love to have a matched set from a certain line or fabric designer but feel it is costly to buy the entire fat quarter bundle. In my shop you will find a wide selection of fat quarter bundles from various lines that include a limited selection of fabrics from the line. Or, you might find a bundle with a theme, rather than being from an entire line. I hope these will be a fun, affordable way to build your quilting stash. I also enjoy creating useful, attractive items for the home and hope that my customers will enjoy using them or giving them as gifts. As an Etsy seller I have had the opportunity to make many custom items for my customers. I love the interaction with my customers and am so happy to make a custom piece that is just what they wanted. If interested, contact me through this shop. I received my order of 6/15 on Monday, June 18. Wow! Great service, fabric is lovely. Thank you so much for such prompt attention. Have a blessed day. "I just received both packages and I'm happy to say I'm am thrilled to have them! Opening your packages gave me that happy, "Christmas morning" feeling. I thank you very much and promise to turn these beautiful pieces into a 2nd treasured quilt. You have a life-long customer here!" I received my order today and just wanted to thank you for your “extras”. The vintage sheet is beautiful and will be added to my collection. Also, my husband thanks you for the chocolates-those are his favorites. You are wonderful and treat your customers well!" "Hi Bernie! Thank you so much for treating my small order as if I had ordered 10 yards of a print! Can’t wait for your fabrics to arrive-they will be the first 2 Sue’s that I make and remember from whom I ordered them! Have a great day! Welcome to Needle and Foot! I am so pleased that you have found my shop and are reading about it. It is my hope to stock such a variety of high quality fabrics that I can provide something for everyone! You will find modern fabrics, blenders, solids and a few traditional choices sprinkled in. Vintage fabrics and are a hobby of mine and when I have them available, I list them as well. Also, I make creative, fun items for the home and for gift giving. Small quilts and assorted specialty items are available in the shop. Enjoy shopping and if you haven't found just what you are looking for, send me a note and let's see what we can work out! If you are unsatisfied with a purchase from Needle and Foot, you have 14 days to return it in As New condition. I will refund your purchase price, less the shipping cost. If you are unhappy with a fabric purchase, I will accept a return. Once I confirm the condition of the fabric returned to me, I will process your refund. There will be a 10% restocking charge deducted from your refund. I will not refund your shipping cost and you will pay the return shipping expense if sending an item back to me. Custom orders are not refundable. 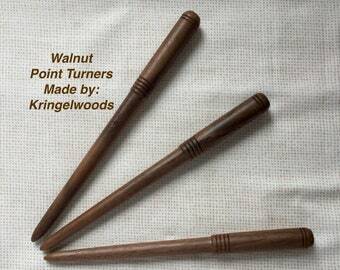 I will work with you, providing pictures along the way as needed, to ensure your satisfaction with your custom item. Needle and Foot accepts PayPal as well as credit cards for payment. If you are a local buyer, cash is fine and you can avoid shippiing costs!! I will ship within three business days of your purchase using USPS, unless otherwise specified. I will box or package everything such that it arrives in perfect condition. I will send it as quickly and also as economically as possible. I will ship via the US Postal Service. While packages can arrive as quickly as 7 days, they often take 2 to 3 weeks and can take as long as 6 weeks to arrive. Packages generally leave the US within 2 days of mailing. The speed with which they travel once they leave the US is out of our hands--delays are usually as a package traveling through customs in the destination country. Customs fees/duty taxes/VAT (Value Added Tax) are the buyer's responsibility. Please note that If there is a mistake with your shipping address that is my fault, I will resend at no cost. If the mistake is yours (ie wrong address listed in Etsy or PayPal) then you will be expected to pay for shipping a second time.